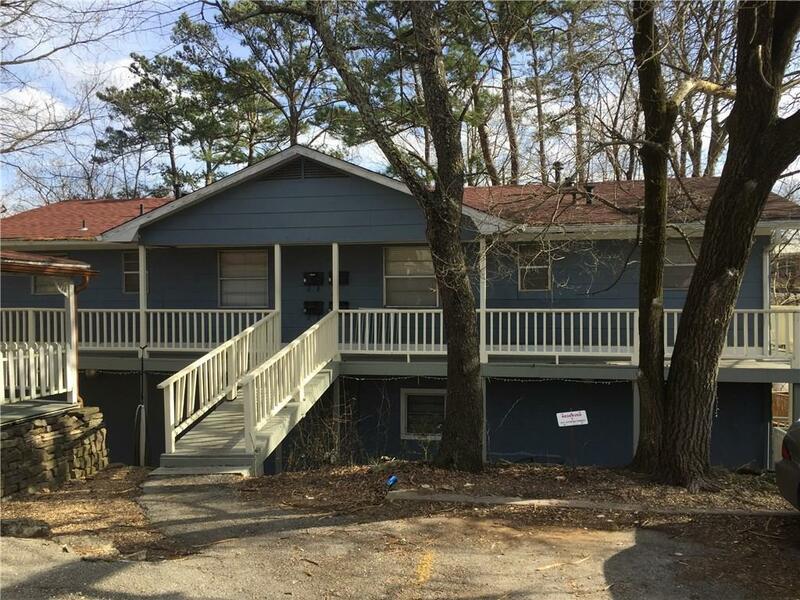 32 Kingshighway, Eureka Springs, AR.| MLS# 1110125 | Garfield Beaver Lakefront and Resort Homes for Sale and Northwest Arkansas homes representing buyers and home sellers for all of your real estate needs. Free MLS property search. Great investment opportunity. Four two bedroom apartments within walking distance to historic down town. New in the last three years: Roof, 4 hot water heaters, two central units, some appliances. Units are easy to rent. Because this is zoned commercial, could be transformed to nightly rentals. Private decks for each unit. 2 Washer/Dryer hook ups, one up, one down. Unique type of property for Eureka Springs. Priced to sell. All units are rented. Notice needed to show.